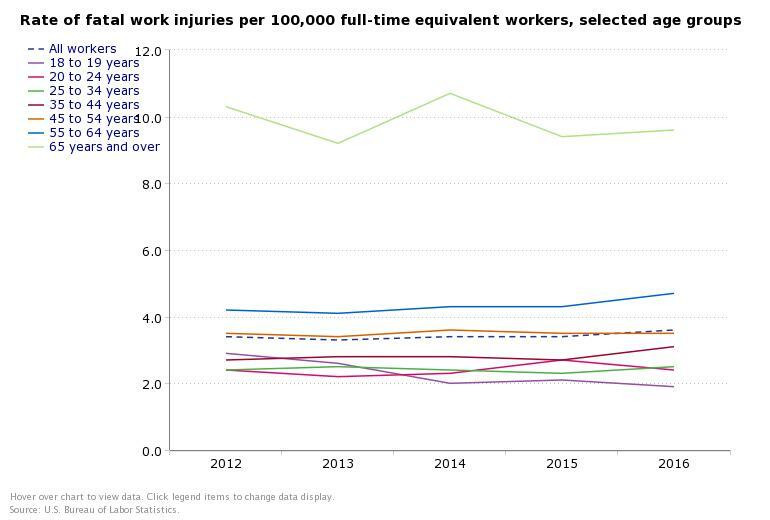 Fatalities related to falls, slips and trips were also on the rise with falls increasing more than 25% between 2015 and 2016 for roofers, carpenters, tree trimmers and pruners as well as heavy and tractor-trailer truck drivers. Another alarming data is the increase of 32% of overdose on the job between 2015 and 2016. Year after year, the construction industry remains the industry where the highest number of workers suffer fatal injuries. 991 construction workers died on the job in 2016. 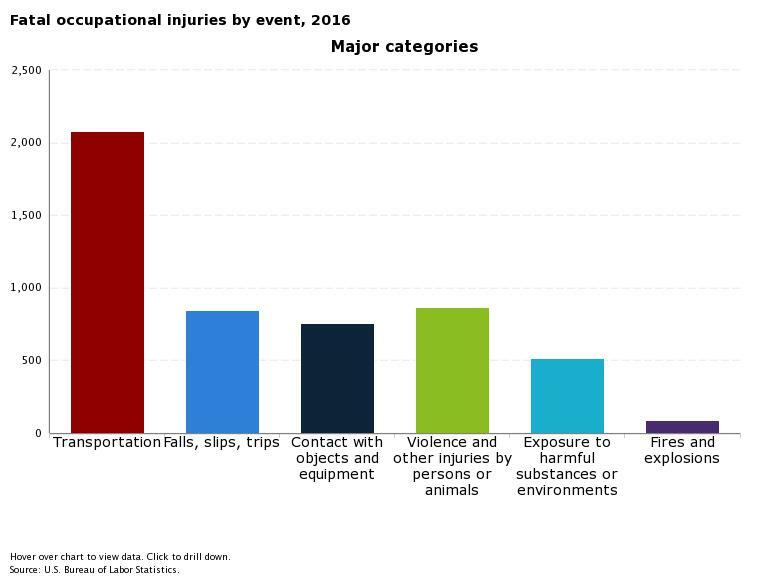 The transportation and warehousing industry comes second with 825 fatal injuries in 2016 and the agriculture, forestry, fishing and hunting third with 593 fatalities. 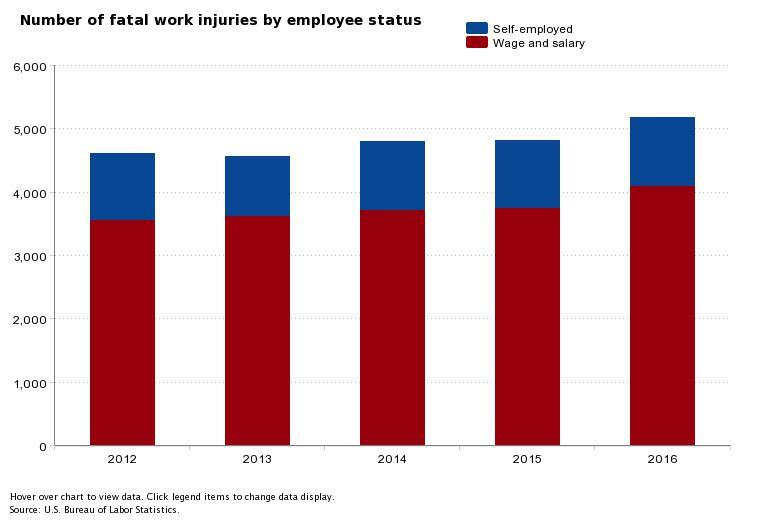 According to the Bureau of Labor Statistics, several occupations recorded their highest number of fatal injuries since 2003 when the Standard Occupational Classification (SOC) system was adopted. 134 first-line supervisors of construction trades and extraction workers , 125 landscapers and groundskeepers , 101 roofers, 84 tree trimmers and pruners, 71 driver/sales workers, 64 automotive service technicians and mechanics, and 61 farm workers suffered fatal work injuries in 2016. 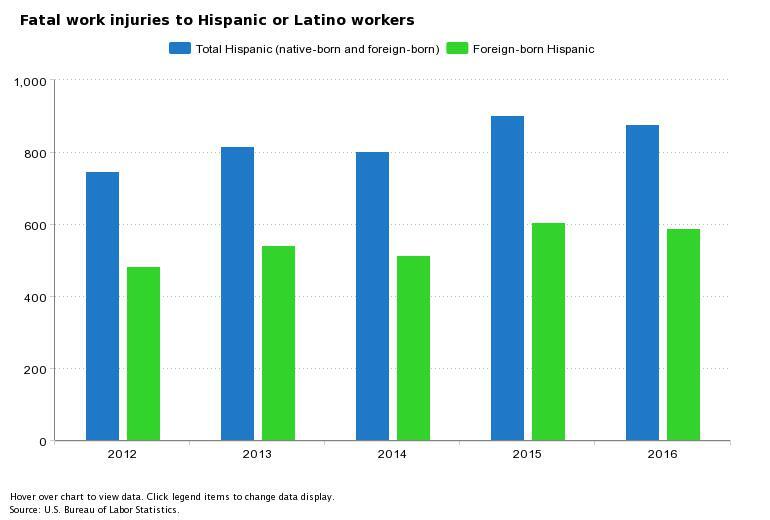 Among the 5,190 workers who died on the job in 2016, a fifth of them were foreign born with Mexicans representing 37% of them. Asian workers accounted for 19% of them. 160 Asian workers were fatally injured in 2016 compared to 114 in 2015. This represents a 40% increase which is the highest percentage increase among any race or ethnic origin. 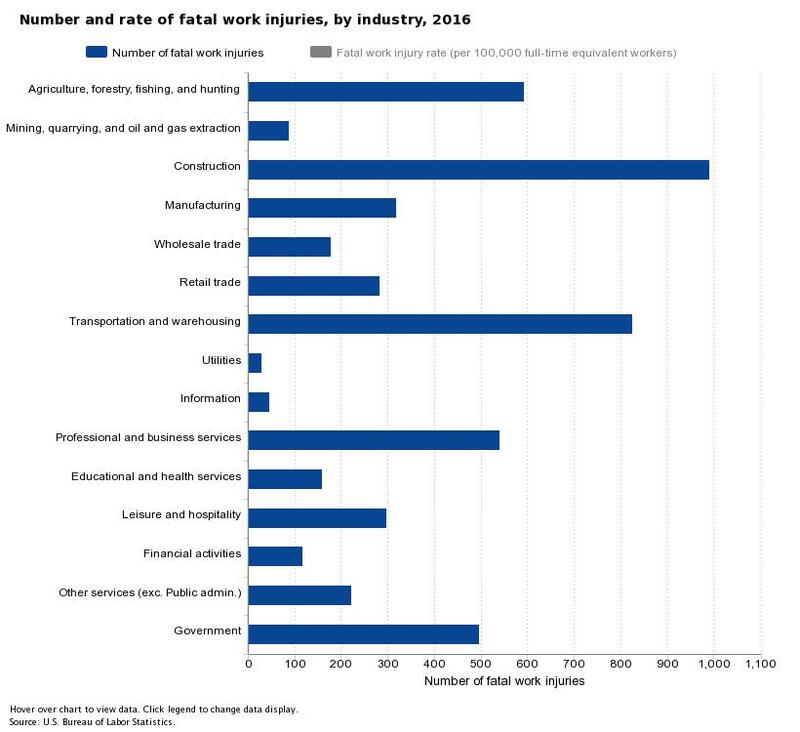 The second highest increase of work fatalities was recorded among Black or African-American and was a 19% increase from 495 fatalities in 2015 to 587 in 2016. Fatal work injuries statistics by age show that workers over 65 year old have a much higher rate of fatal injuries than younger workers.